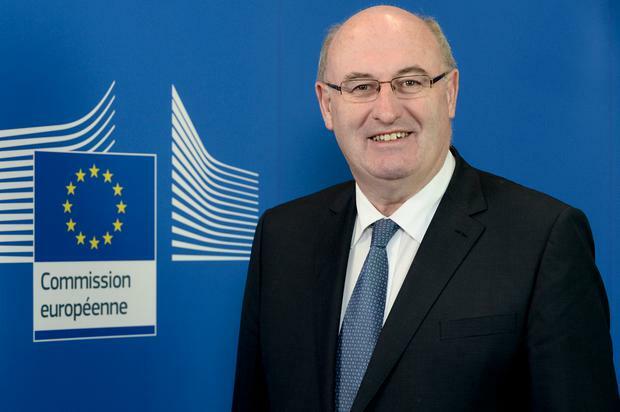 EU Commissioner Phil Hogan described US President Donald Trump as an "America-first bully" as controversy over his Irish visit continues to mount. Former Fine Gael minister Mr Hogan said Ireland has a "very strong relationship" with the USA, with 40 million people in that country calling themselves Irish, and the office of the US presidency "would have to be respected". However, he added: "It's very difficult to understand why the president of the United States would accuse the European Union of being a security threat in order to impose tariffs on our products - we have yet to get a good explanation for that." Mr Hogan described Mr Trump as "a businessman of a different kind to what we've been used to" and compared him to a "cattle trader" who is in it "for the short-term". In his address to the Kennedy Summer School, Mr Hogan said the EU "does not welcome the America-first bully" and said it was "rather tragic" that Donald Trump views the EU as "a foe" after a "wonderful relationship" with the US for many years. Earlier, Foreign Affairs Minister Simon Coveney accepted Mr Trump's visit will definitely prove "controversial". The Tánaiste repeated the Taoiseach's blunt admission that the Government was "a little taken by surprise" by news of the US president's visit a week ago. But he insisted that as the democratically elected of the USA, President Trump will be welcomed to Ireland in November. "It will be controversial. Everything Donald Trump does these days is controversial. He is followed by an army of journalists and camera people," Mr Coveney said. The Tánaiste also did not agree with former Taoiseach Enda Kenny's assertion that Mr Trump was "racist". But he repeatedly stressed he disagreed with Mr Trump on many issues. The Tánaiste said every US president since Ronald Reagan in 1984 had visited Ireland, with just one exception. A visit by President Trump was expected at some stage. Mr Coveney said the Irish Government and President Trump differed on key issues including climate change, migration, international trade tariffs, and funding for education. Welcoming President Trump did not amount to endorsing his policies or views, he said. He added there were 700 US companies in Ireland employing 170,000 people, and 100 Irish companies in the USA employing 100,000 people.